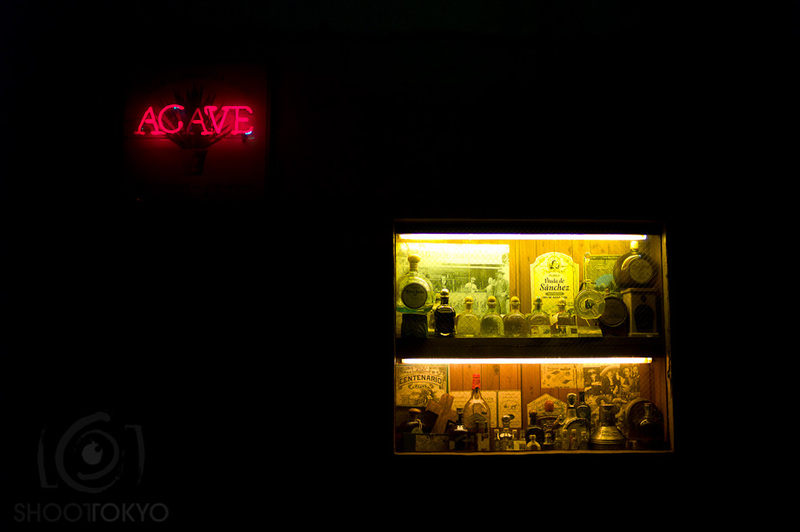 I was walking through Roppongi the other night with my Leica M9 over my shoulder and passed this tequila bar. I thought the entrance was so interesting. I didn't get a chance to check it out inside but after some research it looks like they have over 150 tequilas, for sipping not shooting, on their menu. The food looks great too so probably worth checking out sometime soon; Agave 7-15-10 Roppongi, Minato-ku, Tokyo.